Howdy friends :D Happy Mother's Day to all the mothers out there! You rock. Mostly for doing something I never plan on doing haha, ye are much braver than I! Today I have a short little swatch for ya. I found this at the dollar store, holla! 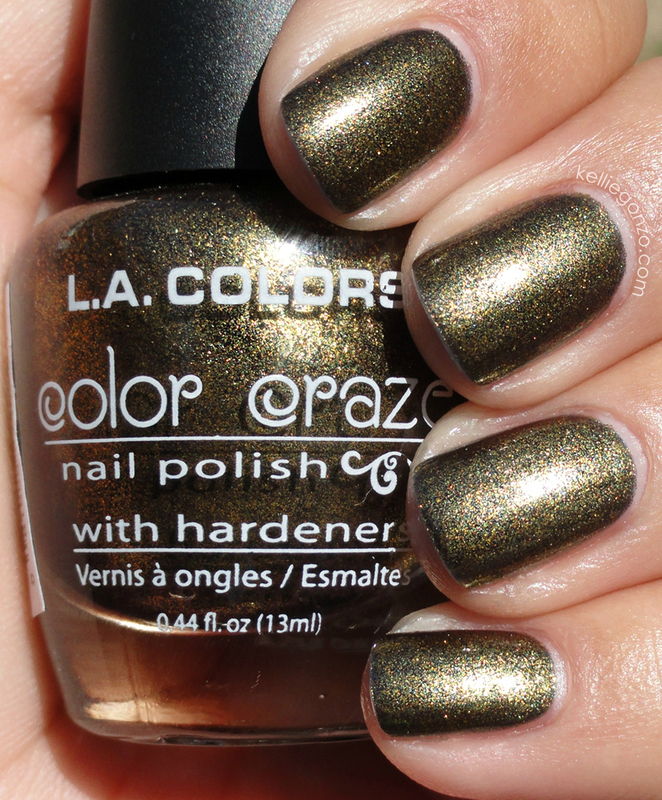 It's from L.A. Color's Color Craze line, called Cactus. I expected it to be more gold than green, but as you can see it's mainly green. The base is dark, basically black, but the microshimmer overcomes it totally and you mainly see the metallic goldy green of the glitter. This is three coats. Very fast dry time. This is a picture on the third day, as evidenced by the slight tipwear. Have a good day hunnies!